We may me changing our minds on the upcoming Vacation reboot, because the rumors have us thinking the return of the Griswold family is a good thing. The Hollywood Reporter’s Borys Kit (h/t CBS News) reports some great news about America’s favorite bumbling travelers. Of course, we had our reservations, because nobody can lead the clan across country like Chevy Chase’s Clark Griswold or his wife Ellen, played by Beverly D’Angelo. Alas, we are apparently getting a reboot whether we like it or not, so it’s with caution that we offer that we may just like it. Kit states Leslie Mann is in negotiations to join the film that, as of this writing, is referred to as simply Vacation on IMDB. Also in negotiations is Chris Hemsworth and Charlie Day. Add Ed Helms and Christina Applegate to the mix and you have something that looks extremely promising and potentially hilarious. Helms’ role as Stu in the Hangover franchise is enough to convince us that he can bring the laughs when things go awry. 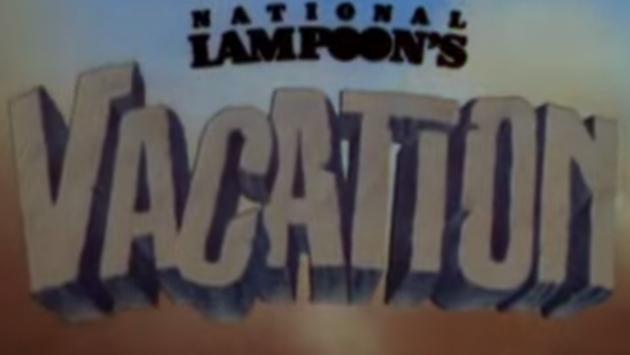 As we know from these Vacation movies, things will undoubtedly go awry. According to the report, Mann will play Audrey Griswold, Rusty’s sister. Adding Charlie Day’s (It’s Always Sunny in Philadelphia, Pacific Rim) comedic talent and you have the makings of something truly special. The best part, as Variety reported in 2013, is Chevy Chase and Beverly D’Angelo will be back in their iconic roles. Our initial grumbles have waned to pure delight, because this upcoming comedy has all the necessary ingredients to make audiences LOL in their seats as the Griswolds embark on delightful disaster.